Wait and see what tomorrow may bring you, get it all while you can..."
I'm a danger in the streets..."
No I really, I couldn't say..."
Always got me on the lookout for a getaway..."
I'll do anything that you wanna do - come on!..." 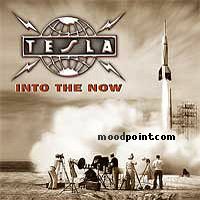 When I think about all the good times we had..."
With another man who was feeling the same way, all hell's breakin' loose..."
Now I'm older, growing older, and I see things differently..."
if you want to see other song lyrics from "Into The Now" album, click "Tesla Singer" and search album songs from the artist page. If you know some new information about Recognize, or other song from our site, that isn’t already on song page, please let us know, Any refinement, news, or comment is appreciated. If information about Recognize, or any song from moodpoint directory is wrong, please contact us and write where the incorrect data should be replaced by correct data. Use "Find Lyrics" box on our site, try to use different artist or (and) song title(ex: Recognize) word forms.